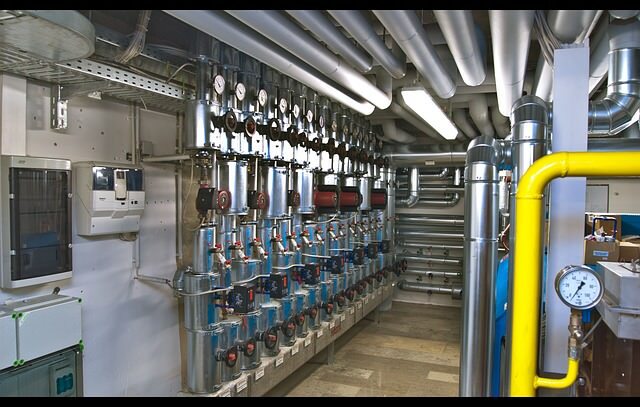 Our specialist Heating Engineers are able to carry out all aspects of maintenance, repair & installations to all makes, models and types of commercial gas boilers, radiant heating and warm air systems from complete systems to individual appliances. To find out more about our heating services & what we can do for you, call us today on 0161 427 0541 or get in touch. Whether you need to arrange a one-off fix, or regular servicing we have the experience and expertise to make it as easy as possible to get your boiler working in the most efficient way possible. 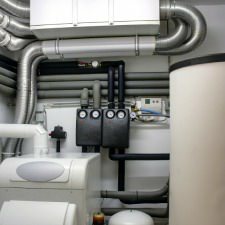 Why Your Should Get Your Boiler Regularly Serviced? Although commercial and industrial premises can have a legal obligation to have your boiler and heating plant serviced one of the main reasons to have your boiler serviced is to save money. The reason for this is that deposits build up inside the boiler and central heating system which reduce the efficiency of the system, which means higher gas bills for you! Regular servicing from TPS will include a thorough clean of any servicable parts, bringing your boiler’s efficiency level back up. We can also help with planned preventative maintenance (PPM). View more details about our service agreements here. We work on many different manufacturers products and have a wealth of experience working with leading UK heating manufacturers. Whether it be breakdowns, servicing or installations we cover all aspects in relation to heating no matter how big or how small. We pride ourselves on response times for breakdowns, as sometimes the loss of heating can disrupt productivity. We respond within 2 hours when needed. Techniheat Engineers are fully trained, insured and qualified to work on your premises.